It is difficult for a show that already excels every week to have a truly outstanding episode. 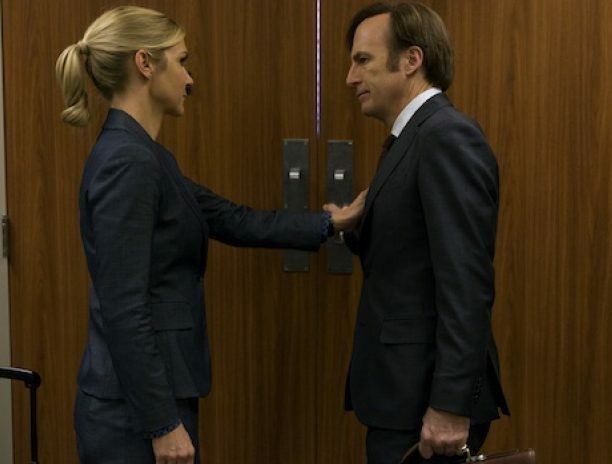 It happens to Better Call Saul the same way it happened to its predecessor, Breaking Bad. Always great episodes, always flawless, but oh boy, when a top one came along, it made the show even better. That is what I think of BCS’s latest episode, ‘Chicanery’. On a show that is already a five-star one, it has given us an episode that surpasses those stars, with a climax to the plotline that had been brewing since the season two finale. Hell, since the very beginning of the series, I’d say. Jimmy has finally outsmarted his brother and he has been exposed. It is difficult to express the mixture of feelings I had while watching ‘Chicanery’, especially its last ten minutes, and it is something you need to watch to fully understand and appreciate it. Others can’t tell you. After some weeks of delighting us with Mike and the return of Gus Fring, ‘Chicanery’ was deprived of them to turn it into a court-full hour, and it was the most suspenseful hour of the season, and the one with the most surprises. 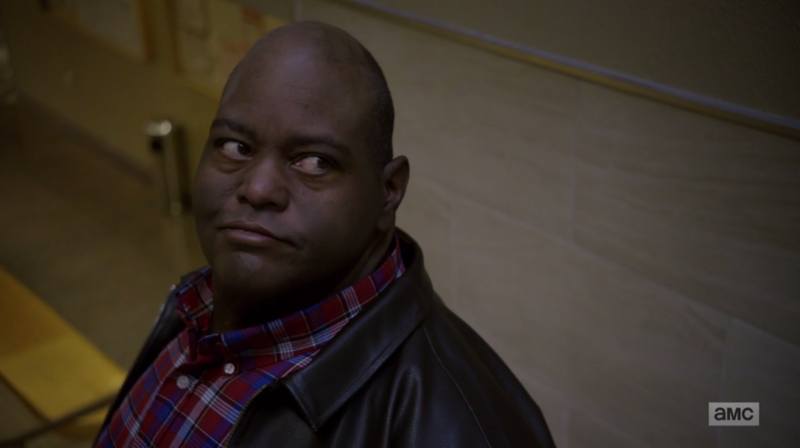 My favourite surprise, besides Chuck’s outing, is actually something directly related to that: the return of Huell! Yes, we know that after Breaking Bad, he is probably still in that room waiting for someone to get him, but now we can enjoy his pre-Heisenberg life with the first time he meets Jimmy. And it doesn’t disappoint. Not only does he become pivotal to Jimmy’s plan to out Chuck, he does it with a wink to BB -by bumping into Chuck and introducing a battery in his breast pocket. I mean, we all knew he had just put something or taken something from his pocket, right? 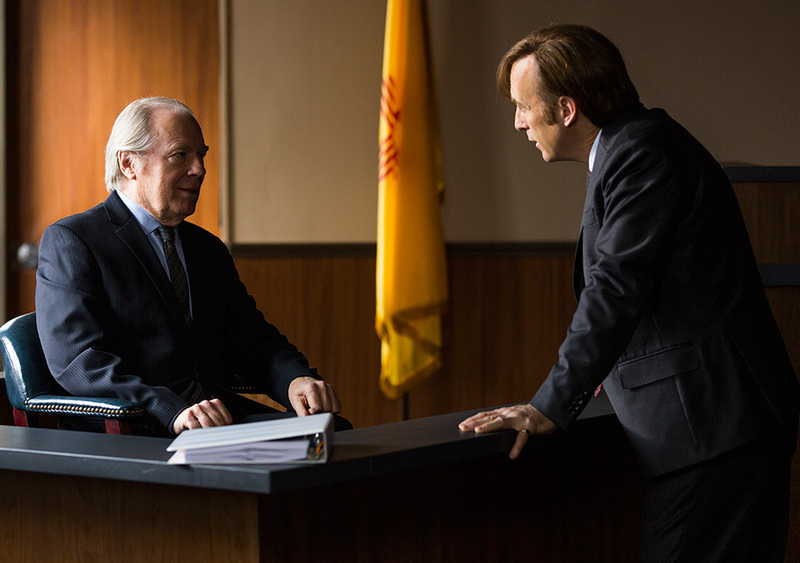 I haven’t reviewed Better Call Saul so far because it is one of those shows that I want to enjoy without the pressure of having to take notes, but after watching ‘Chicanery’, I just felt like I needed to say out loud how superb it was. Congrats to Gilligan, Odenkirk and the rest of the team; I can’t wait to see what you have in store for us.